The Kansas Jayhawks football team represents the University of Kansas in NCAA Division I FBS and the Big 12 Conference. The KU football team was founded in 1890. The Jayhawks play their home football games in Kansas Memorial Stadium, the first football stadium built on a college campus west of the Mississippi River. The David Beaty Era officially began at KU on December 5, 2014, when he was hired to coach the football team. The official site of Kansas Jayhawks Athletics is KUAthletics.com. The Kansas Jayhawks head football coach is David Beaty. Learn more about Coach Beaty, here. The University of Kansas is a public research university located in Lawrence, Kansas. The University of Kansas was founded in 1865 by the citizens of Lawrence under a charter from the Kansas Legislature. KU enrollment is currently 29,462 students. Visit the University of Kansas online at ku.edu. The Kansas Football Fan Guide has an outstanding collection of Jayhawks football information featuring traffic tips and directions, Memorial Stadium parking FAQ’s, KU Gameday activities, and University of Kansas maps. The Kansas Jayhawks home football stadium, Kansas Memorial Stadium, opened in 1924 with a capacity of 26,000. Memorial Stadium has since grown to an official capacity of 50,071. Get the best prices on tickets to University of Kansas football games. You can comparison shop at one place online all the major sporting event ticket outlets at Big 12 Football Tickets. We offer the cheapest prices on Kansas football tickets. Get access to all Big 12 football games, highlights, and replays on Big 12 Football Online. Watch Kansas football games on ESPN and FOX Sports. 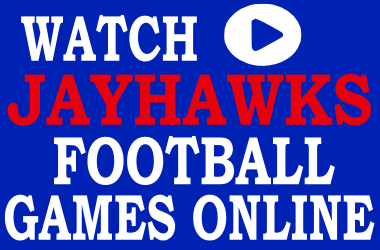 Find out where to watch Kansas Jayhawks football online. Visit Big 12 Football Online to watch the Kansas Jayhawks football game online. The Kansas Jayhawks football team opens the 2014 football season with a game against Southeast Missouri State. View the 2014 Kansas football schedule at the 2014 Big 12 Football Schedule Grid. Get to know the KU mascots, Big Jay and Baby Jay, at Kansas Jayhawks mascot and traditions. Rock Chalk and I’m a Jayhawk are the most famous Kansas Jayhawks fight songs. Download free Kansas Jayhawks ringtones at our Kansas Jayhawks fight song ringtones page. 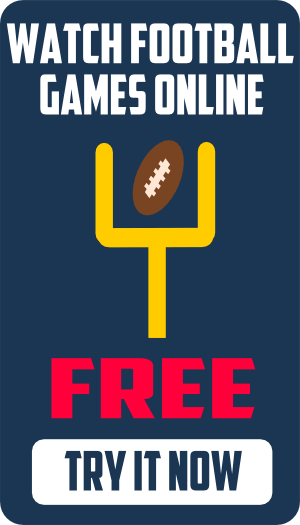 Find Kansas Jayhawks football and basketball wallpaper for cell phones and computers and KU Screensavers at our free Kansas Jayhawks wallpaper page. The most popular message board forums for Kansas Jayhawks football are PHOG.net, the Shiver, and KUSports.com, a message board from the Lawrence Journal World. KUSports.com…More rock for your chalk. Phog Blog…Independent blog covering KU Athletics. RockChalk.com…John and Dave’s unofficial KU Hoops site. TheShiver.com…The independent authority for KU Athletics. Rock Chalk Talk…Rock it. Talk it. Chalk it. Jayhawk Slant…Jayhawks Sports from our friends at Rivals.com. PHOG.net…KU Jayhawks Football updates from Scout.com. Kansan…the Daily Kansan, official student newspaper of the University of Kansas since 1904. Kansas City Star…KU Jayhawks coverage from the Kansas City Star. KU Sports…Local Jayhawks sports coverage from the Lawrence Journal World. Jayhawk All Access…Exclusive online streaming audio and video of Kansas Jayhawks football and basketball. KJHK Sports…Official student run radio station of the University of Kansas. Listen live to Kansas basketball and football online. Kansas Jayhawks football and basketball streaming…Watch Kansas football online or listen to Jayhawk football radio streaming on the Internet.